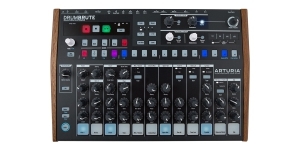 DrumBrute is a drum synthesizer with a fully analog audio path. This machine is designed to give the musician a deep and versatile setting of 17 drum and percussion instruments. 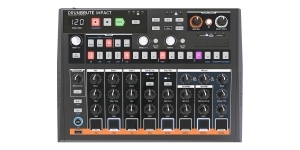 The instrument has an intuitive sequencer with the ability of step recording in real time, looping and repeating the step, 4 banks x 16 patterns, a four-track recording mode, a Steiner/Parker (LPF HPF) dual-mode filter with resonance. Fruitful creativity will be provided to you by all the controllers on the front panel necessary for detailed adjustment, including 12 pads for basic instruments, pitch, release, level control, etc. 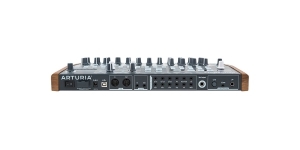 for all the instruments individually with no need to "run through the menu", 16 multifunction buttons, one of the functions of which is to work with the sequencer. 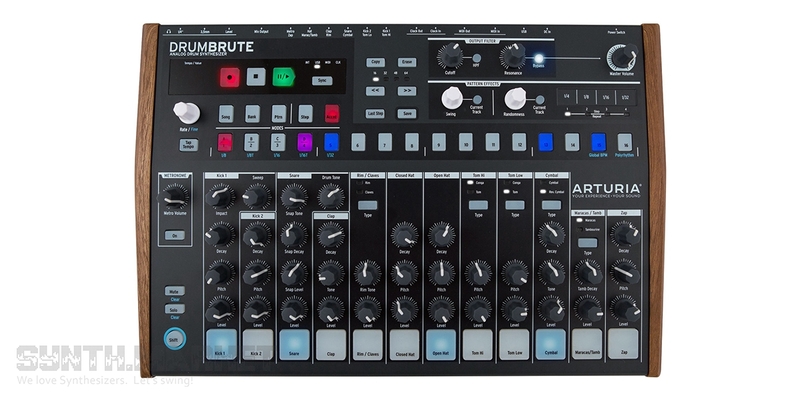 DrumBrute perfectly fits into your analog sound studio and perfectly suits both the native surroundings of MiniBrute and MatrixBrute, as well as the set of synthesizers of other manufacturers complementing it with no trouble, thanks to the wide connectivity range - channel audio output, 2 connectors for synchronization with an external device, of course, MIDI input and output, as well as USB with MIDI support. The developers also provided 2 outputs to the headphones - 1/4"and 1/8" and packed their brainchild in a metal housing with plastic wooden-like sides. Today we will tell you about the news that Behringer company brought to Knobcon 2018, namely about two clones of the legendary drum machines of the 80s - TR-808 and TR-909 (RD-808 and RD-909 respectively).